John Boden: While I have a lot of your books, I have not read them all…yet. What I have read has been wonderful. Of all the possible charms I could go on about, the rich and realistic portrayals of emotion and character are staggering. Truly. There are also recurring themes of inner struggle as well as the given outer struggles. All of it delivered with such deft edge and detail. Do you put a lot of yourself in your work? Meaning, do you tend to infuse characters with struggles and feelings you have had or have? JB: I recently read your novel The German. (I know I was late to the party on that one…all of them, sadly.) I would imagine there was a great deal of research that went into the historical aspects of that novel. It was so rich with detail. What was the inspiration for such a book? LT: I enjoy research, though I try to keep it unobtrusive. I don’t want to weigh a reader down with a bunch of information that I might find fascinating, but which has no bearing on the story or the characters. With The German, I drew inspiration from a few places. They all hit at once within a relatively narrow window period. The first was a documentary on The History Channel, when they still did the occasional piece on history. It focused on a high-ranking German soldier who was openly gay. His name was Ernst Röhm, and it struck me as odd I’d never heard of him before. Fascinating stuff. That night I sat down and wrote what would become the prologue of the novel, and then it was out of my system, and I went back to other projects. Not long after, a week or two, I went on a day trip to Fredericksburg, a small town in the hill country out here, and they really play up the area’s German heritage. I hadn’t been living in Texas for very long at that point, but the fact it had been so heavily settled by Germans surprised me. Back in Austin, I found that there were still German music clubs and the like. So I had a protagonist and a setting (though I changed Austin to a smaller, fictional town named Barnard). The last piece was just random. I won’t go into it. It includes adult entertainment. JB: I know you to be a music fan (a fellow “metal head”), so I feel obliged to ask: how important is music to your creative process? Some find it distracting, others can’t work without it. If you need or like music to create, what are some of the soundtrack favorites? LT.: Music is important to what I do. Before starting a project, I’ll try to find music that might enhance the tone of a piece while I’m putting the first draft together. The first draft of The Dust of Wonderland, which was written in a compulsive haze over the course of a few weeks, was written almost entirely to NIN’s Pretty Hate Machine and the first Candlebox record. Back then it took effort, okay minor effort, to pop a CD out and throw another in to change the music. It didn’t really matter. I was so lost in the story the music barely registered. I’d occasionally think, “Head Like a Hole” must have played a million times by now, but it still sounded good so I kept going. I need dead silence when I’m editing, but when I’m writing I like to have the music blaring to mask other distractions. Sometimes I’ll rework a title from a favorite song and use it for a short story or book. I’ve done it a few times. Of course the story or book has nothing to do with the lyrical content of the song. It’s just that metal and horror share a language palette. The cadence of the words gets into my head. Most of the titles I do from scratch, but there are a few that would certainly sound familiar to the hard rock set. JB: I am always quite interested to hear how people got where they are today. Did you always want to be a writer? How young were you when you first began that journey? LT: I was always interested in reading, but I thought writers were the anointed few who were identified as brilliant and predestined to have writing careers. Turns out…not so much. When I was in the Third Grade, I wrote a series of illustrated “novels” based on the Universal Horror canon. My teacher caught me working on one and asked to see them all. He typed up the stories and photocopied the pictures and made books out of them for the class. Great teacher. That was the last inkling I had from educators that I might be a writer, or have any useful skills at all. When I was sixteen I wrote my first full-length novel: 400 pages of a painfully bad werewolf story that was basically a modern interpretation of The Wolfman. I wrote another when I was in my early twenties. I probably wrote 10 “practice” novels, but I didn’t think to do anything with them. Then, a friend of a friend hooked me up with a literary agency. They were legit and worked really hard for me, but my focus on characters “fraternizing,” which was their nice way of saying “the characters are doing too much gay stuff,” pretty much nailed the coffin shut for a while. I was fine with that. Writing was something I did, not a career I dreamed about. Early versions of Stained and The Dust of Wonderland were both written during that period, about 10 years before either saw publication. Then, in 2001 I took a speculative fiction course with Terry Bisson. He encouraged me to send some stories out, so I did. I sent out six stories and three or four of them got picked up. 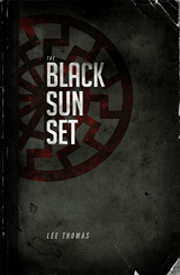 The first acceptance came from Brian Keene at Horrorfind.com. So yeah, blame Brian. Ha. One of the others went to Gothic.net, which was a pro market, and the story received some praise from writers I had heard of. It felt strange to suddenly have my work out in front of people, but it also felt pretty good. 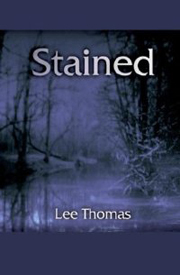 More short stories followed, and in 2004 my first published novel, Stained, was released. JB: Being an avid reader, I find endless inspiration in the books I read. I try to get at least two books in a week. 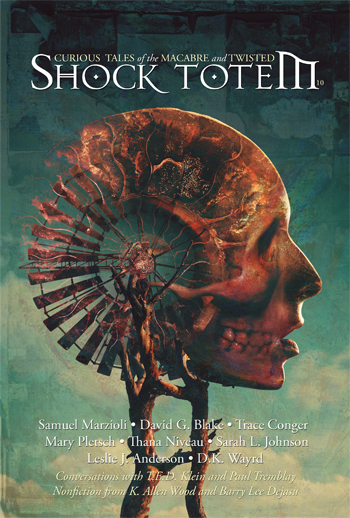 Plus all the submissions for Shock Totem. So I read A LOT. Are you a voracious reader and what sort of books do you like to read? LT: I was a voracious reader as a kid. I picked up whatever book was lying around the house (some of which should not have been left lying around, I might add). I also made regular trips to the library, because we didn’t have much money, so I couldn’t buy comics or the books I saw at the grocery store. The library was always a good place to hang. I fell away from reading in my late teens and ever since I’ve gone in spurts. I’ll read a dozen books and then nothing for a while, usually when I’m working on a novel. A few years back I was a judge for the Shirley Jackson Awards, and I spent six months reading everything they sent my way. It was wonderful. It was also a little exhausting because I was, at the time, organizing a World Horror Convention, starting my masters degree, and meeting deadlines for my own books. I’ve read a few books recently that other authors have sent me to blurb or edit. It’ll be a bit before I can pick things up from the bookstore and see what’s new. JB: After I finished The German, I tore through Stained and The Dust of Wonderland. I can’t help but wonder why these and so many other incredible small-press offerings have not translated into crossover mainstream success. It sometimes seems as though the small imprints are an invisible fence, and I guess it’s open for interpretation as to whether they’re to keep us in or others out. LT: I never thought of fences in regard to the small press. 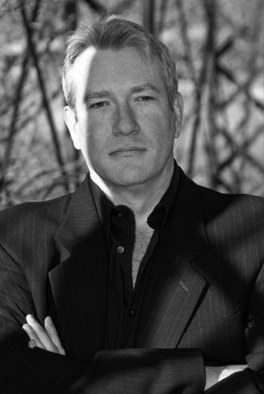 Many successful writers in our genre write for both major publishers and the small press. Tim Lebbon, Joe McKinney, Gary McMahon, and Tim Waggoner are just a few of those that come to mind. Granted, I know of few small press titles that are picked up and re-released by big houses. Norm Partridge’s Dark Harvest went from Cemetery Dance to Tor, I believe, but I can’t think of other examples just now. The small press serves a valuable service by publishing quality books that are perceived to be non-commercial. It also produces a good amount of bad books, but then so does mainstream publishing. Most of the spec-lit writers I admire these days–Barron, Ballingrud, Langan, and just about everyone who’s published by Chizine–thrive in the small press, primarily. I could list a dozen folks whose work should be mass consumed but isn’t. Over analyzing it doesn’t really help things. Commercial trends are ocean waves and you can ride them in or continue to struggle against them. What you shouldn’t do is scream at the waves and complain about them going the wrong direction, because it’s a waste of breath. For me the quality of the work isn’t in question. I’ve had interest from editors at big publishers for all of the titles you mentioned, but when it came time for the marketing folks to chime in, the books didn’t hit the right commercial notes. The sales teams didn’t think they could sell to a large enough audience and the editors came back with rejections. Not great, but it doesn’t make me question my skills. I’d love to make high five- or six-figure advances (or more) on all of my books, but that’s only happened a couple of times. I’m grateful for it. The fact is, what interests me in regard to content isn’t always perceived as having mass appeal, as noted above regarding the “fraternizing.” I accept that, after I stomp and fume for five or ten minutes. All I can do is keep writing stories that fascinate me, and write them as well as I can. There’s already an audience for it, and in time that audience will grow. JB: I also started your collection, Like Light for Flies, and I am just as gob smacked with it as I am the novels. Truly unique and horrific, very much reminds me of the early masterworks of Clive Barker. Where do these ideas come from? LT: Thank you. That’s great to hear. I wish I had a quick and snappy answer for you, but the ideas come from all over the place. There’s no real process involved. My stories don’t emerge from dreams or deep transcendental states. I see a news story and think, “This is exactly like a news story I saw last month, which was exactly like a news story I read the month before that,” and I sit down and write “Testify.” I watch a brain-blasting marathon of Italian horror flicks and think, “They must lose something in translation, because they’re awesome, but most make no damn sense at all,” and I want to do that, so I write “The House by the Park.” An editor asks me to write a story about a Bruce Springsteen song, so I throw on my favorite tune of his and the musical structure becomes integral to the structure of the story, and I come up with “Nothing Forgiven.” I want to write a story about my dog and think about her as part of an adventure, so I write “The Dodd Contrivance.” Somewhere in the process of writing, themes and metaphors emerge that tie into bigger issues. If effective I play those up. If not, I leave them buried. Whatever works for the story. JB: Thanks so much for chatting with me, Lee. I have said many times, the greatest perk of working with Shock Totem has been the experience of getting to meet and befriend many wonderful and talented writers, and that definitely describes you. Anything you’d like to say or rant on before I have our driver take you home? 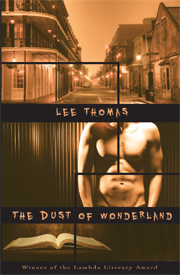 Visit Lee Thomas at his website and then spend the rest of the day tracking down all of his books.